Common enemies make enemies become friends! The French and the British are such good enemies that they can’t resist being friends. The only way I know to pluck from the hearts of enemies their desire to destroy us is to remove from their lives the sense that, for their own physical and spiritual survival, they must. Kill your enemies with success and bury them with a smile…. Never fails. If there were two enemies hating each other for a long time, to me, the winner would be the one who finally has the courage to forgive. Best friends make the worst enemies, they know all your secrets and how to hurt you the most. My enemies are everywhere. And sometimes, those we least suspect turn out to be our biggest threats. It is a good man who stands up for his friends, but an honorable man who stands up for his enemies. Friends may come and go but enemies accumulate. Treat your guest as a guest for two days; on the third day, give him a hoe. Better an intelligent enemy than a stupid friend. A drap and a bite’s but a sma’ requite. Whoever welcomes his friend with a smile, it’s as though he gave his friend the finest gifts in the world. My friend tells me of my virtue. my enemy notes my fault. If you see your friend’s ox or sheep straying, don’t look the other way; return them to your friend. Who’s a hero? 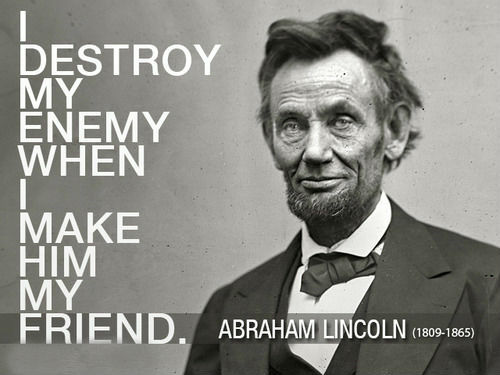 He who turns his enemy into his friend.